Oakville, Ont. 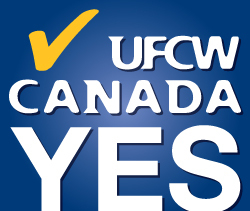 – August 11, 2015 – Workers at MDG Computers Canada in Oakville, Ontario are the newest members of UFCW Canada Local 206 after voting to join the union late last month. The MDG members work as sales, financing, and collections representatives for one of the largest electronic financing companies in North America. They joined the union to achieve better wages and scheduling, enhanced job security, and more respect and fairness on the job. "I would like to thank the MDG employees for choosing UFCW as their voice in the workplace," says UFCW Canada Local 206 President Wayne Hanley. "We look forward to meaningful and productive negotiations with the employer as we bargain the first union contract for MDG workers in Canada," Brother Hanley adds.